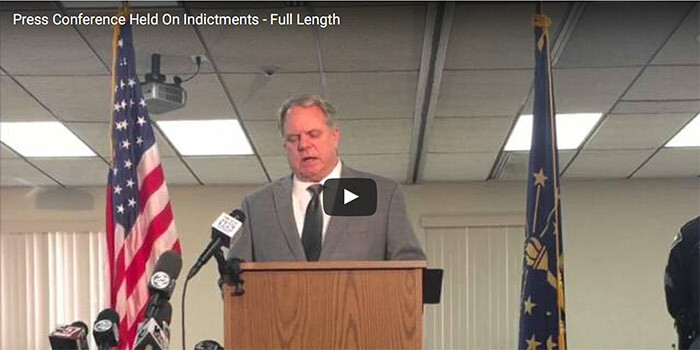 PLYMOUTH — A grand jury report and recommendation document remains sealed against the three individuals indicted by that grand jury. The indictments were opened at 8 a.m. this morning by Kosciusko Circuit Court Judge Mike Reed. The indictments were against Kevin L. Bronson, Mark H. Soto and Kosciusko County Sheriff C. Aaron Rovenstine.